Here now i am going to download the latest version of Miracle FRP Tool for you for free downloading,i am always providing the latest and updated versions of useful tools that will help you to do something always,Now if you want to download the latest version of Miracle FRP Tool on your current windows go to in the end of this article where you will find the downloading link of Miracle FRP Tool and now click on downloading and and then follow the downloading process. Here to day i am going to share the or the provide the version 1.27 and now you should come to know that it is the latest version of Miracle FRP Tool right now so if now right now want to download Miracle FRP Tool so you must have to check the version first if you will find the version 1.27 than download it. 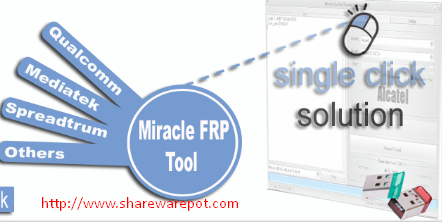 Now for downloading the latest version of Miracle FRP Tool on your windows then visit here bellow where you will find the downloading link and now click on that downloading link and now i hope that you will be able to download Miracle FRP Tool on your windows device. Now after complete downloading of you have to start flashing your android phones and now have to connect your phone with your windows then take a usb data cable and then connect your android phone with your windows devices and then now click on tool on your desktop and now follow the process of flashing.